With the ever growing unrest and tensions in the world around us, it is all the more imperative that we go out prepared, according to God’s standards. It is not about how we appear on the outside, but rather how we clothe the corners of our heart. Can you imagine what the world would look like if everyone approached one another with compassion, kindness, humility, gentleness and patience? Though we cannot expect others to conform to the “clothing of Christ“, we can extend these things to all whom we encounter, modeling the very things that we hope to see in return. Change does not happen with giant waves of conformity, rather it begins with one, or perhaps a few, who choose to be kind or compassionate. Those who opt to walk in humility and gentleness, despite that which surrounds them – these are the agents of change in the world. May we have the patience to press in and seek the Lord, allowing Him to be our Source and our strength to clothe our hearts with compassion, kindness, humility, gentleness and patience, so that we may go forth and give to others as the Lord intended. Dear Heavenly Father, thank You for loving us so much that You sent Your Son to save us from ourselves. Thank You that when we seek You, You meet us where we are. Thank You that in Your strength, we can be clothed with compassion, kindness, humility, gentleness and patience, so that we may extend the same to others. Forgive us for not seeking You or for not clothing our hearts with Your character. Teach us to trust You more, so that we would more accurately reflect who You are to a world so desperately in need of Your goodness and grace. Show us how to love with compassion, kindness, humility, gentleness and patience. May many come into a lasting relationship with You. Be glorified O God, as we seek to honor You by clothing ourselves in the character traits of Christ. Amen. This entry was posted in Awe, Blessing, Comfort, Community, Courage, Faith, Fear, Forgiveness, Gentleness, Grace, Gratitude, Hope, Humility, Kindness, Love, Mercy, Obedience, Offering, Peace, Poetry, Possibilities, Praise, Purpose, Sacrifice, Serve, Strength, Surrender, Trust, Voice, Worship and tagged agents, appear, begins, believers, bless, change, choose, chosen, clothe, Colossians 3, compassion, conform, dearly loved, encounter, expect, extend, forgive, gentleness, glorified, God, gracious, heart, Holy, honor, hope, human race, humility, imagine, imperative, Jesus, kindness, Lord, modeling, need, opt, patience, prepared, press in, reflect, return, rise up, shine, Source, standards, strength, teach, tensions, trust, unrest, walk, waves, world. Bookmark the permalink. We had a worship night for women last night at my church. Our women’s pastor brought a simple, yet profound word, as she conveyed real examples from her own life to share what the Lord had placed upon her heart for us. The following is what I gleaned from our time together. Fear and obstacles that stand before us, are the two greatest factors that hold us back from the fullness of all that God has for us. Typically, we are held back in one of two ways. We either refuse to even get out of the boat, despite seeing Jesus walking toward us upon the water through the wind and waves, or we get out of the boat, begin walking, and then suddenly see the wind and waves surrounding us and begin to sink. Either way, we miss out on the miracles our Maker has for us, as we are called to weather the storms, not simply wait for them to pass. 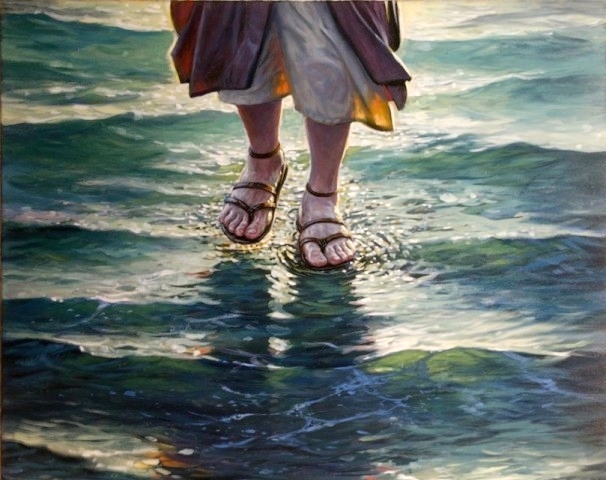 As we continue to keep walking toward our Savior, despite the wind and the waves – our fears and the obstacles before us – we allow Him opportunity to move mightily in us and through us, and discover joys we would have never known on the journey, because of His great faithfulness to us. So how the heck do we do this? The words Pastor Wendy heard were simple, yet so significant. Live Life. Live. Continue pressing in and pressing on, in spite of the fears and the obstacles. Do not limit the Lord, nor make Him too small. He can do exceedingly more than we could hope or imagine, and the joy that awaits us is unfathomable. Our charge is to be available and to move forward in all that He calls us into. We are not meant to be stuck in the boat in fear, nor sinking in the waves as terror overtakes us. May we look to the Lord and consider all trials opportunities for His joy, as He will do abundantly more in us and through us as we choose to keep pressing forward. Nor give room to grow. If we will not go. Dear Heavenly Father, thank You that You take our fears and trials and use them as opportunities to grow us and give us greater joy as You demonstrate Your love and care for us as we choose to keep walking forward in spite of what lies before us. Forgive us for allowing fears or obstacles to paralyze us where we are, and keep us from allowing You access to all. Teach us to trust You more, so that we would consider even the trials opportunities for great joy, as You give grace and strength that we have not known before. Show us how to love others in such a way, that they see You through us. May many come into a lasting relationship with You. Be glorified O God, as we recognize trials and obstacles as opportunities for great joy because of who You are. Amen. This entry was posted in Awe, Blessing, Comfort, Community, Courage, Faith, Fear, Forgiveness, Gentleness, Grace, Healing, Hope, Joy, Kindness, Love, Mercy, Obedience, Peace, Poetry, Possibilities, Purpose, Serve, Strength, Surrender, Trust, Voice, Worship and tagged allow, boat, called, choice, church, continue, conveyed, discover, embrace, examples, exceedingly more, factors, fear, forgive, fullness, gleaned, glorified, God, great faithfulness, great joy, grow, heart, hope, James 1, Jesus, joy, know, life, lift, limit, live life, Lord, love, Maker, miracles, miss out, obstacles, opportunity, overtakes, paralyze, pastor, pressing in, pressing on, profound, provides, refuse, Savior, see, share, show, significant, simple, sink, Spirit, storms, stuck, surrounding, teach, together, trouble, trust, unfathomable, walking, waves, weather, wind, women, word, worship night. Bookmark the permalink. When we grow weary or we become worn down from the load that life has us bear, Jesus calls to us to come to Him – for He will give us rest. It does not mean that our struggles will disappear, yet He who is far greater than anything we face, will walk beside us and carry the load when we can walk no further. His strength will be given, as He provides time and space for us to sit quietly in His presence and just rest. In that space, we don’t have to do or be anything to anyone. We are His. He loves because He created us, not because of anything that we have or have not done. May we go to God with our weariness and weightiness, and allow Him to grant us the rest that we so desperately need in Him. you fear you may drown. gives rest by His grace. where true rest is born. Dear Heavenly Father, thank You that You call us to come to You when we are weary and burdened and broken down. Thank You that You are not put off by our need, but rather it is in that space of need that You meet us, and grant us Your rest. Forgive us for trying to power through in places where we are meant to stop and spend time before You, allowing You to show us how You will help bear the burden that is beyond what we are meant to carry. Thank You that when the load is ours to bear, You strengthen us in our space of seeking. Teach us to trust You more, so that we will come to You when we are weary, and allow You to grant us rest. 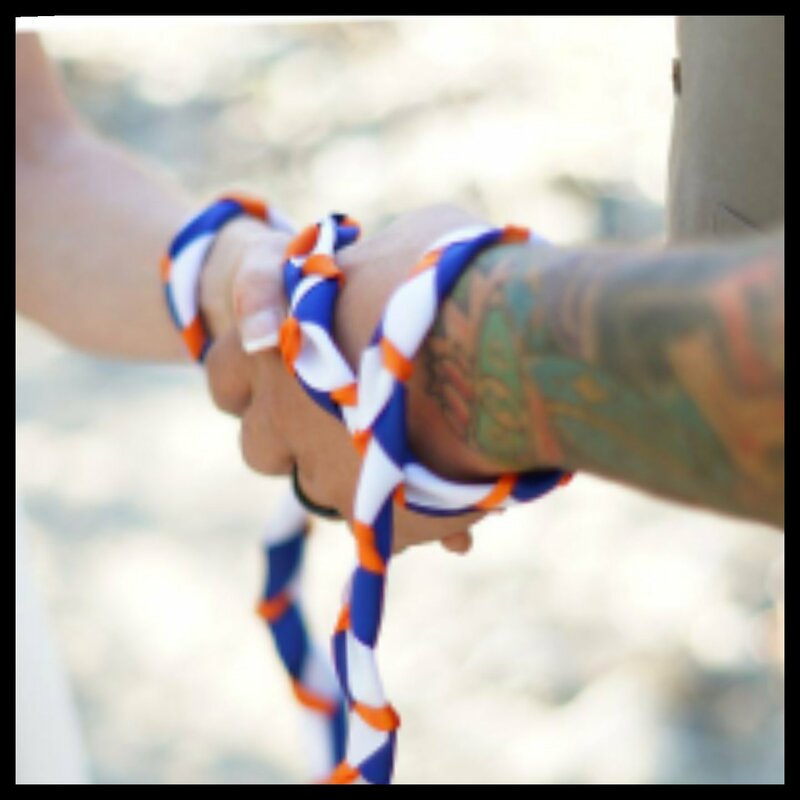 Show us how to come alongside others to be Your hands and heart in such a way, that their load is lightened too. May many come into a lasting relationship with You. Be glorified O God, as we come to You with our burdens, and find Your rest. Amen. This entry was posted in Awe, Blessing, Comfort, Community, Confess, Courage, Faith, Forgiveness, Gentleness, Grace, Gratitude, Hope, Kindness, Love, Mercy, Peace, Poetry, Praise, Purpose, Strength, Surrender, Trust, Voice, Worship and tagged alive, allow, bear, beside, born, broken, calls, carry, Christ, come, crashing, created, desperately need, disappear, drown, exchange, face, fear, forgive, give, given, glorified, God, grace, grant, great love, greater, He loves, heavy burdens, His, Jesus, Lord Jesus, love, Matthew 11, meet us, mercy, power through, presence, provides, rest, Righteous One, said, seek, show, strength, struggling, teach, tired, trust, walk, waves, weary, weight, world, worn, worn down. Bookmark the permalink. When the pressure of life begins to close in and the burdens seem too much to bear, our help and our hope is but a prayer away. We are not meant to muscle our way through the waves that come, but rather we are designed to depend on the One who sees and hears and knows best how to help in all things and at all times. The Lord answers when we earnestly seek Him. He sets us free from that which keeps us bound. What is impossible for us, is possible with God. Though people can cause pain in the present, there is nothing that they can do to take away the promises and the hope that we hold for all eternity. The only thing that should truly be fearful, is the thought of a forever without Him. May we remember to call on the Lord in our times of trouble, as He is our help and our hope. Let His love lead us out of fear and into the place of holding fast to the promise of life everlasting. so truth we shall see. as He bore our scars. Dear Heavenly Father, thank You that when we are hard pressed or in distress we can cry out to You and be heard. Thank You that You answer us and bring us to a place of freedom from our fear of what we are facing. Thank You that You are greater than anything that comes against us, and anything that we are called to walk through. Thank You that You are for us. Forgive us for our fearfulness in the face of adversity or the unknown, and teach us to trust You more. Show us how to hold onto the truth that You are far greater than ALL that we face. Lead us to love others with Your lavish love, so that they too, may come to delight in who You are. May many come into a lasting relationship with You. Be glorified O God, as we pray to You and trust You to answer. Amen. This entry was posted in Awe, Blessing, Comfort, Courage, Faith, Fear, Forgiveness, Freedom, Gentleness, Grace, Gratitude, Hope, Humility, Joy, Kindness, Love, Mercy, Obedience, Poetry, Protection, Purpose, Strength, Surrender, Trust, Voice, Worship and tagged afraid, answered, bear, bound, brought, burdens, call, cried, delight, depend, designed, distress, earnestly seek, eternity, fear, fearful, fearfulness, fill, forever, forgive, freedom, glorified, God, hard pressed, help, His love, hold, hope, impossible, joy, lead, leads, Lord, love, made known, mortals, muscle, no fear, pain, people, possible, prayed, prayer, presence, present, pressure, promises, psalm 118, realized, remember, scars, see, set free, spacious place, trials, trouble, truth, waves, with me. Bookmark the permalink. When the disciples were rowing across the lake, having left a miraculous evening in which Jesus had fed a multitude with a mere five loaves and two fish, they somehow lost sight of their story when a storm set in. Waves were crashing around them, and then, as if an apparition, Jesus was walking beside these men on the water. To say they were frightened, would likely be an understatement. Jesus reassured them, and then, what really brought about comfort and peace to each stirred up soul, was when He climbed into the boat beside them. As He did, the wind and waves were calmed, and so too, were the hearts of those who He came near. As storms rage around us, do we look up from our oars? If even for a moment, I imagine we’d find similar shock at just how near the Lord is to us, and how willing He is to climb in beside us and still the storm in our soul. Our charge is to look for Him in the midst of both the calm and the storm, as He stays beside us in each. His miracles are available and He moves on our behalf, more often than we realize. When we really look, we too, will be completely amazed at how the Lord is moving among us. Dear Heavenly Father, thank You that when storms rage around us, You don’t just look down on us from afar, but You come close and climb in the boat beside us, commanding the chaos within us to become calm. Even if the storm that surrounds us continues for a season, You bring stillness to our soul. Thank You that You are our comfort and our peace, and that You do amazing things when we look to You. Forgive us for focusing our attention on surviving the storm, rather than on You, the One who can still the storm with a word or Your presence. Teach us to trust You more, so that we will look for You, and discover just how often You are seated beside us in the boat. Lead us to love others well, so that they too may discover Your nearness for themselves. May many come into a lasting relationship with You. Be glorified O God, as we look to You who draws near to us and calms the storms within us, and help us to stand amazed at the mighty ways in which You move. Amen. This entry was posted in Awe, Blessing, Comfort, Community, Courage, Faith, Fear, Forgiveness, Gentleness, Grace, Gratitude, Healing, Hope, Humility, Kindness, Love, Mercy, Obedience, Peace, Poetry, Praise, Protection, Purpose, Strength, Surrender, Trust, Voice, Worship and tagged abide, amazed, ask, available, behalf, beside, boat, calmed, came near, charge, climbed, close, comfort, completely amazed, crying, died down, disciples, discover, fed a multitude, five loaves and two fish, focus, forgive, frightened, gentle, glorified, happy, Jesus, kind, lake, lead, look up, Lord, lost, love, Mark 6, miracles, miraculous, moment, near, never leaves, now and always, peace, praise, promised, realize, reassured, rowing, see, shock, shows up, sight, sing, songs, soul, stay, stays, still, stirred up, storm, storms rage, story, strain, surviving, teach, trust, waiting, walking, water, waves, willing, wind. Bookmark the permalink. One of the things I have loved about growing up in the Pacific Northwest is the proximity to the water. 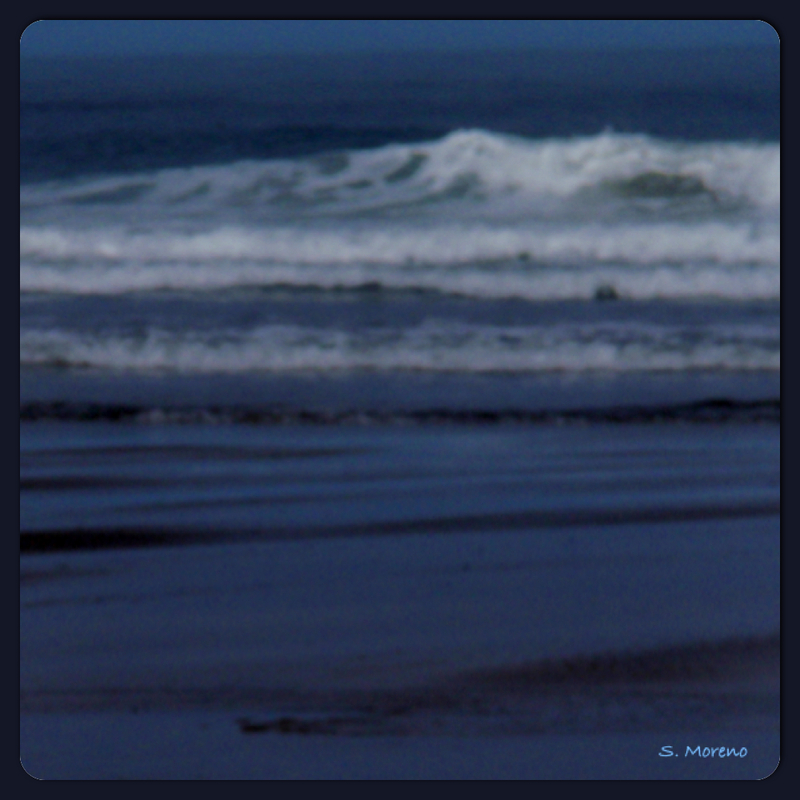 The repetition and rhythm of the waves rolling into the shore, are among my favorite sounds. When a storm comes through, there is nothing quite so awe inspiring as the power and force with which the waves crash and the seas churn. When the wind and waves whip at full force, there is no wisdom in nearing the water’s edge. Yet Christ in us, is in the eye of every storm, and can choose to simply say, “Be still,” and all that is crashing around us, will have to yield to the mighty hand of God. Even if the storm that is raging around us is not silenced, He will hush all that is hurling to and fro within us. May we seek He who calms our storms to a whisper, and can causes the waves to hush within our hearts. Let us be still and know that He is God. Dear Heavenly Father, thank You that You still storms to a whisper and that You hush the waves of raging seas – be it externally in what surrounds us, or within the walls of our own hearts. Thank You that when we seek You and depend on You, You are faithful to meet us where we are at, and You bring Your peace. Forgive us for fighting the storms rather than relenting and allowing You to navigate us to safety. Teach us to trust You more, so that we will seek You first in all things and at all times, no matter what storms may appear on our horizon. Lead us to love others in such a way, that they too, can see how You still the storms. May many come into a lasting relationship with You. Be glorified O God, as we are still before You in the calm and in the storms, placing our faith in You to lead us to safe harbor. Amen. This entry was posted in Awe, Blessing, Comfort, Community, Confess, Courage, Faith, Fear, Forgiveness, Gentleness, Grace, Gratitude, Hope, Humility, Kindness, Love, Mercy, Obedience, Peace, Poetry, Possibilities, Protection, Purpose, Strength, Surrender, Trust, Voice, Worship and tagged allowing, ask, awe inspiring, be still, bring, calm, calms, Christ, churn, comfort, crash, Creator, depart, eye of the storm, faithful, force, forgive, full force, glorified, God, grace, growing up, hidden, hushed, know, lead, love, loved, meet us, mighty hand, navigate, no more, One, Pacific Northwest, pause, peace, power, psalm 107, receive, release, relenting, repetition, rhythm, roar, rolling into shore, Safe Harbor, safety, sea, seek, silenced, sounds, stilled, stillness, storm, Sustainer, tablet of your heart, teach, trust, water, waves, whisper, wind, wisdom, word, yield. Bookmark the permalink. On Sunday, my church family was presented with an assignment for the week, if we were so inclined to accept. As we study and review together who Jesus is, the challenge put forth is to spend the week reading through the book of Mark. This morning, through the reading of chapters 3-5, two passages presented parts of of the nature of who Jesus is, in mighty ways. He got up, rebuked the wind and said to the waves, “Quiet! Be still!” Then the wind died down and it was completely calm. – (Mark 4:39) This first passage attests to both the power of Jesus, and how He is indeed worthy of our trust. Though the disciples were distressed and afraid in the sudden storm and panicked because Jesus was asleep, the moment they turned to Jesus, He stood, spoke, and all was still. The very same presence that silenced the storm, dwells within the hearts of all who believe. Wind and waves may toss us about, but Christ will keep us from going under. At times, He will calm the chaos around us, but more often, He will silence the storm within so that we are able to see the storm through His eyes, instead of our own. The second passage that struck a chord with me this morning, is the interaction between Jesus and Jairus, the synagogue ruler, when men from his house brought news that his daughter had died. Ignoring what they said, Jesus told the synagogue ruler, “Don’t be afraid; just believe.” – (Mark 5:36) Jesus is the God of comfort and compassion, and He does not want us to be afraid. I cannot imagine what must have gone through the mind of Jairus, as Jesus told him to “just believe.” Hope? Resolve? Curiosity? It was likely quite overwhelming and all a bit surreal. First, he knew his daughter was gravely ill. Then, Jairus was brought news that his daughter was dead. Now, standing before him, the Savior spoke hope that he could hold onto. Jesus is still the same today. When all seems hopeless, He is hope. Nothing is impossible for Him. He who set the stars in the sky and hand-crafted each human before their first cries were ever heard, can do immeasurably more than we can fathom. our safe space to run. or our hearts are grieved. Dear Heavenly Father, thank You that Jesus is powerful and worthy of all of our trust. Thank You too, Jesus, that You are comforting and compassionate. Thank You that You know us and love us, in spite of ourselves. Thank You that there is nothing that we face nor go through that You are not both present and able to walk us through. Forgive us for our fearfulness and lack of faith. Teach us to trust You more, so that we might lean into You all the more, rather than run or try to stand in our own strength in the storms. Lead us to love others in such a way, that they may see Your comfort, compassion and strength through us. May many come into a saving relationship with You, Lord. Be glorified O God, as we trust in Your power to see us through the storms, and receive Your comfort when we are afraid. Amen. This entry was posted in Blessing, Comfort, Confess, Courage, Faith, Fear, Forgiveness, Gentleness, Grace, Gratitude, Healing, Hope, Kindness, Love, Mercy, Obedience, Peace, Poetry, Possibilities, Protection, Purpose, Strength, Surrender, Trust, Voice, Worship and tagged accept, afraid, asleep, assignment, attests, be still, believe, calm, challenge, Christ, church family, come, comfort, compassion, daughter, dead, defeat, disciples, distressed, dwells, forgive, gravely ill, grieved, hand-crafted, heartache, His eyes, hold, hope, immeasureably more, Jairus, Jesus, jesus name, know, lead, love, Mark, Mark 4, mighty ways, nature, none, offers, overwhelms, panicked, passages, peace, power, presence, quiet, reading, rebuked, reigns, run, safe space, see, seemingly impossible, silenced, Source, stars in the sky, study, sudden storm, Sunday, teach, together, toss, waves, wind, worthy of trust. Bookmark the permalink.